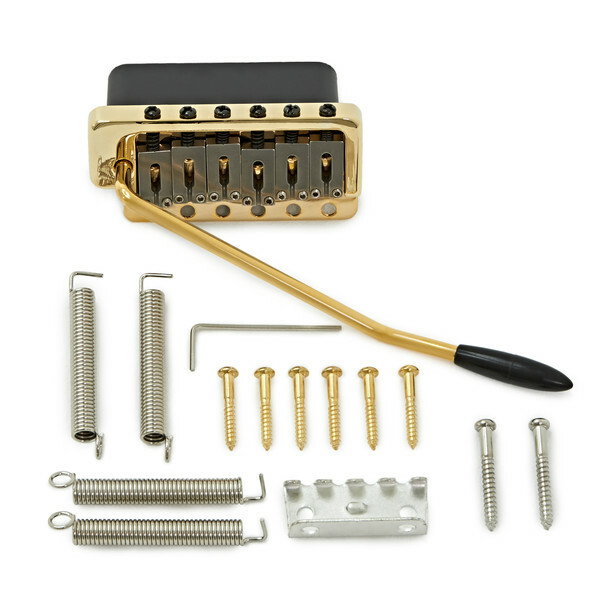 The Wilkinson WVP Guitar Tremolo Bridge is a modern twist on a classic design. It's ultra smooth with a sleek, low profile surround restricting the sideways movement of the solid stainless steel saddles. The WVP range of vibratos is the ultimate in comfort and performance. Ideally suited to more contemporary guitar designs, this bridge looks far more expensive than it is.